In the Motorbike Expo 2016 event in Verona, Italy, became a platform to display the Italian custom motorcycles, including the changes on one of the Ducati's popular motorcycle models ie Ducati SixtyTwo. 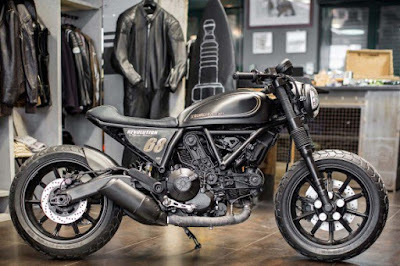 Such as the Ducati Scrambler Revolution, which was built by Officine Mermaid also designed the Ducati Scrambler Scratch. 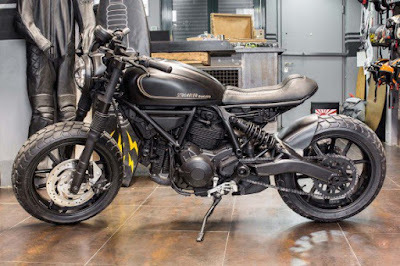 The Ducati Scrambler Revolution custom bike based on Ducati Sixty2 which later composed into a bobber in the real sense. With the creation of this bike, Mermaid as if to straighten out the actual meaning bobber design according to their own understanding. 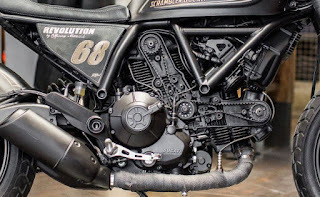 And Scramber Revolution is the answer of changes like mental revolution. 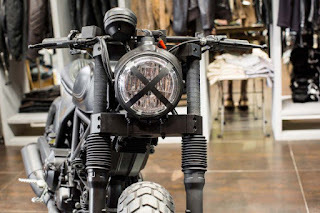 Milan-based motorbike builder added a single seat of genuine leather, a new fork yoke, the new plate holder, and a contrasts white stripe against the black body color (the bobber's general color). And usually the bobber based on Harley-Davidson. 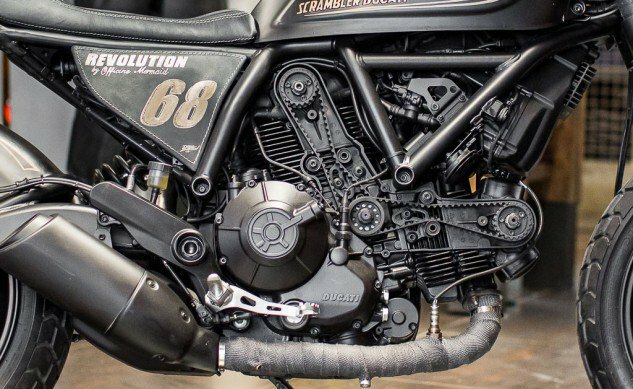 The Revolution also equipped with 2 size of 17 rims.